Enter now to be part of our 12 Days of Giveaways Sweepstakes. To thank you for being a great customer we're giving away 12 great tech prizes a day, for 12 days starting December 1, plus a fabulous Grand Prize: an LG Smart Home Theater, 5 LG Tablets and a Samsung Kitchen Suite. It only takes a moment to enter. So get started and get ready to win! ARE YOU A U.S. CELLULAR CUSTOMER AS OF NOVEMBER 15, 2015? SIGN ME UP FOR 12 DAYS OF GIVEAWAYS DAILY EMAILS AND MARKETING EMAILS, OFFERS AND INCENTIVES FROM U.S. CELLULAR. NO PURCHASE NECESSARY. Open 11/16/15 - 12/16/15 to current U.S. Cellular customers who are legal residents of the U.S., 18 or older. See OFFICIAL RULES for details. Our 12 Days of Giveaways started December 1st. During the Sweepstakes, we'll send you a daily reminder to play and see if you're a winner. 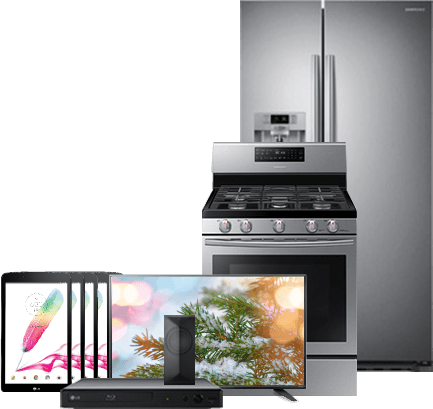 And don't forget, every time you play the daily game, you're entered to win the Grand Prize: an LG Smart Home Theater, 5 LG Tablets, and a Samsung Kitchen Suite. 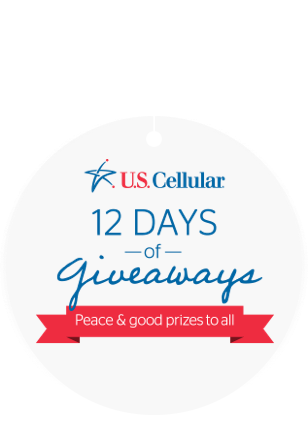 Sorry, but the U.S. Cellular® 12 Days of Giveaways Sweepstakes is only open to U.S. Cellular customers who have a valid account as of November 15, 2015. No Purchase Necessary to Enter. Making a purchase will not increase your chances of winning a prize. 1. 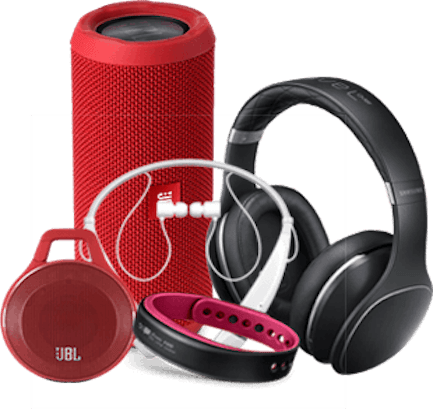 Sweepstakes Period/Overview: The U.S. Cellular “12 Days of Giveaways” Sweepstakes (“Sweepstakes”) sponsored by U.S. Cellular (“Sponsor”) begins on November 16, 2015 at 12:00:01 PM Central Time (“CT”) and ends on December 16, 2015 at 11:59:59 PM CT (the “Sweepstakes Period”). The Sweepstakes consists of two (2) components: (A) a Grand Prize Drawing (“Drawing”); and (B) an Instant-Win Game (“Game”). Each component has its own entry period, as follows: Entry into the Drawing begins on November 16, 2015 at 12:00:01 PM CT and ends on December 16, 2015 at 11:59:59 PM CT (the “Drawing Entry Period”); entry into the Game begins on December 1, 2015 at 12:00:01 AM CT and ends at 11:59:59 PM CT on December 16, 2015, excluding weekends, defined as 12:00:01 AM CT on December 5, 2015 through 11:59:59 PM CT on December 6, 2015, and 12:00:01 AM CT on December 12, 2015 through 11:59:59 PM CT on December 13, 2015 (the “Game Entry Period”). 2. Eligibility: The Sweepstakes is open only to legal residents of the 50 United States and District of Columbia (“D.C.”) who are 18 years of age or older at the time of entry and who were U.S. Cellular customers as of November 15, 2015. Void elsewhere and where prohibited by law. If you are between the ages of 18 and 21 and deemed a minor in the state in which you reside (a “Minor”), you must have the consent of your parent or legal guardian to enter the Sweepstakes. Proof of consent may be required at any time. Employees, officers and directors of Sponsor, PROMOSIS, INC., their respective parent companies, subsidiaries, affiliates, authorized agents, sales representatives, distributors, advertising and promotional agencies, and members of the immediate families (defined as including spouse, biological, adoptive and step-parents, grandparents, siblings, children and grandchildren, and each of their respective spouses, regardless of where they reside) or households (whether related or not) of any of the above are NOT eligible to participate in this Sweepstakes. Non-eligibility or non-compliance with any of these Official Rules may result in disqualification, at the discretion of the Sponsor. The Sweepstakes is subject to all applicable federal, state and local laws and regulations. Participation in the Sweepstakes constitutes entrant’s (or his/her parent’s or legal guardian’s, if a Minor) full and unconditional agreement to abide by and be bound by these Official Rules and the decisions of the independent judging organization, PROMOSIS, Inc., which shall be final and binding in all matters relating to this Sweepstakes. 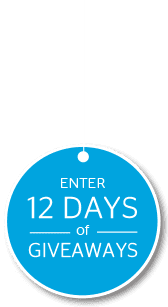 To Enter the Drawing, visit www.uscellular.com/12days (the “Web site”) during the Drawing Entry Period and follow the prompts and directions to complete and submit an entry form. For each properly completed and submitted entry form that Sponsor receives, you will earn one (1) entry into the Grand Prize drawing and, if applicable, into the Second Chance drawing for any unclaimed Game prizes (see drawing details in Rules 4 and 5, below). Limit one (1) Drawing entry via this entry method per eligible U.S. Cellular account holder/email address per day during the Drawing Entry Period. To Enter the Game, visit the Web site during the Game Entry Period and follow the prompts and directions to complete an entry form and play the Game (each, a “Game Play”). Completed Game Plays will display either a “winner” message for that day’s prize or a “sorry” message, if that Game Play is not an instant winner (see list of daily Game prizes in Rule 6, below). Each Game Play earns one (1) entry into the Grand Prize drawing and, if applicable, the Second Chance drawing. All Drawing entries and Game Plays must be complete with all information to be eligible. Limit one (1) Game Play per eligible U.S. Cellular account holder/email address per day during the Game Entry Period. All Drawing entries/Game Plays become the property of the Sponsor and will not be acknowledged or returned, except as provided herein. Proof of submission of a Drawing entry or Game Play will not be deemed proof of receipt by Sponsor. Sponsor reserves the right to void all Drawing entries and Game Plays of an entrant who exceeds the daily entry limits stated above by using multiple/different or fraudulent email addresses or identities, or any other entry method that is not allowed under these Official Rules. No robotic or otherwise automated Drawing entries/Game Plays, or use of third-party entry services allowed. All Drawing entries and Game Plays must be received by 11:59:59 PM CT on December 16, 2015. 4. Grand Prize Drawing/Game Prize and Grand Prize Winner Notification: One (1) Grand Prize winner will be selected in a random drawing conducted by PROMOSIS, Inc. on or about December 18, 2015, from among all eligible entries received in accordance with these Official Rules. Potential Grand Prize winner will be notified by email, and he/she (or his/her parent or legal guardian, if a Minor) will be required to complete and return a notarized Affidavit of Eligibility and Liability/Publicity Release (where permitted) for receipt by Promosis within 5 days of the date emailed to the potential winner, or the applicable prize will be forfeited and awarded to an alternate winner in a random drawing from among the remaining entries. 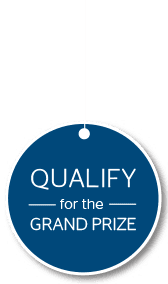 If Grand Prize notification is returned as undeliverable, or if the potential winner is unable to accept the prize for any reason, or if Sponsor, in its sole discretion, deems the potential Grand Prize winner ineligible to receive the prize for any reason, the Grand Prize will be forfeited and awarded to an alternate winner in a random drawing from among the remaining entries received. Each Game prize winner will be notified by email, and he/she (or his/her parent or legal guardian, if a Minor) will be required to complete and return a Winner Verification and liability/publicity release (where permitted) for receipt by PROMOSIS, Inc. within 5 days of the date emailed to the potential winner, or the applicable prize will be forfeited and awarded in the Second Chance drawing described in Rule 5, below. If a Game prize notification is returned as undeliverable, or if a potential winner is unable to accept his/her prize for any reason, or if Sponsor, in its sole discretion, deems a potential Game prize winner ineligible to receive his/her prize for any reason, the applicable prize will be forfeited and awarded in the Second Chance drawing described in Rule 5, below. If any potential winner (Grand or Game prize) is a Minor, his/her prize will be awarded on his/her behalf to his/her parent/legal guardian. Winning a prize is contingent upon fulfilling all requirements of these Official Rules. Sponsor is not responsible for inability of a winner to accept a prize in accordance with these Official Rules. 5. Second Chance Drawing: Any unclaimed or forfeited Game prizes will be awarded in a random drawing from among all eligible entries received. Second Chance Drawing (if necessary) will be conducted by Promosis on or about December 22, 2015. Each potential Second Chance prize winner (if any) will be notified by email, and he/she (or his/her parent or legal guardian, if a Minor) will be required to complete and return a Winner Verification and liability/publicity release (where permitted) for receipt by Promosis within 5 days of the date emailed to the potential winner, or prize will be forfeited, and an alternate winner will be randomly selected from the remaining pool of entries received for the original Second Chance drawing. Prizes are non-transferable; no cash redemption or other substitutions allowed, in whole or in part, except as provided herein. Sponsor reserves the right to substitute a prize (or portion thereof) of equal or greater value if an advertised prize (or portion thereof) becomes unavailable for any reason. All prizes will be awarded provided they are claimed properly in accordance with these Official Rules. The winners are fully responsible for all applicable federal, state and local income taxes on their prizes. Winners of prizes with a total ARV of $600 or more will be issued an IRS 1099-MISC tax form for the value of the prize(s) won. Prizes consist only of the items described above. Winners are responsible for all costs or expenses not described herein as being included with a prize. No eligible participant may win more than one (1) Game prize per day of the Game Entry Period. No more than the stated number of prizes will be awarded. If the number of prize notifications for any prizes exceed the number of such prizes that are available in accordance with these Official Rules, the intended number of applicable prizes will be awarded in a random drawing from among all valid claimants for those prizes. Odds of winning the Grand Prize are dependent upon the total number of entries received during the entire Sweepstakes Period. Odds of winning a Game prize are dependent upon the timing of each Game Play each day of the Game Entry Period, and the number of persons playing the Game on each day. Odds of winning a Second Chance prize (if any), are dependent upon the total number of entries received in accordance with these Official Rules. All prize winners are subject to verification by PROMOSIS, Inc. before any prize will be awarded. By accepting a prize, each winner (or his/her parent or legal guardian, if a Minor) acknowledges that the Sponsor has neither made nor is in any manner responsible or liable for any warranty, representation, or guarantee, express or implied, in fact or in law, relative to the prize or any portion thereof, including but not limited to its quality, mechanical condition or fitness for a particular purpose. 7. Limitation of Liability: Sponsor is not responsible for: (i) electronic transmissions or Drawing entries/Game plays that are lost, late, stolen, incomplete, illegible, damaged, garbled, destroyed, misdirected, or not received by Sponsor for any reason; (ii) any problems or technical malfunctions, errors, omissions, interruptions, deletions, defects, delays in operation or transmission, communication failures or human error that may occur in the transmission, receipt or processing of Drawing entries/Game plays, or for deletion, theft or destruction of, unauthorized access to, or alteration of, Drawing entries/Game plays; (iii) failed or unavailable hardware, network or software; (iv) causes beyond Sponsor’s reasonable control that jeopardize the administration, security, fairness, integrity or proper conduct of this Sweepstakes; (v) incorrect or inaccurate entry information whether caused by entrants or by any of the equipment or programming associated with or utilized in the Sweepstakes; (vi) any typographical or other error in any printing or advertising relating to the Sweepstakes, in the administration or execution of the Sweepstakes, or in the announcement of the prize winners; or (vii) cheating or fraud by any participant. All incomplete or non-conforming Drawing entries/Game Plays will be disqualified. If for any reason the Sweepstakes cannot be executed as planned, including but not limited to any printing, administrative, human or other error of any kind, transmission failure, infection by computer virus, bugs, tampering, unauthorized intervention, fraud, technical failures, or any other causes beyond the control of Sponsor that corrupt or affect the security, administration, fairness, integrity or proper conduct of the Sweepstakes, or if the Sweepstakes is compromised or becomes corrupted in any way, electronically or otherwise, Sponsor reserves the right, in its sole discretion, to cancel, terminate, modify or suspend the Sweepstakes without notice. If the Sweepstakes is terminated prior to the stated end date of the Sweepstakes Period, the remaining Game prizes and the Grand Prize will be awarded in a random drawing from among all eligible, non-suspect entries received prior to the time/date of termination. Sponsor reserves the right, in its sole discretion, to disqualify any individual who tampers with or attempts to tamper with the entry process or the operation of the Sweepstakes, or who acts in violation of these Official Rules or in a disruptive manner. Sponsor’s failure to enforce any term of these Official Rules shall not constitute a waiver of that term. CAUTION: ANY ATTEMPT TO DELIBERATELY UNDERMINE THE LEGITIMATE OPERATION OF THE SWEEPSTAKES MAY BE A VIOLATION OF CRIMINAL AND/OR CIVIL LAWS AND SHOULD SUCH AN ATTEMPT BE MADE, THE SPONSOR RESERVES THE RIGHT TO DISQUALIFY AND SEEK DAMAGES OR OTHER REMEDIES FROM ANY PERSON RESPONSIBLE FOR SUCH ATTEMPT TO THE FULLEST EXTENT PERMITTED BY LAW. In the event of a dispute regarding the identity of the individual who submitted a winning Drawing entry/Game Play, the entry/Game Play will be deemed submitted by the person whose name appears on the corresponding entry form, and such person must comply with these Official Rules. By entering, each entrant (or his/her parent or legal guardian, if a Minor) agrees to indemnify, release, defend and hold harmless the Sponsor, its parent company, subsidiaries, affiliates and agencies, and the officers, directors and employees of each of the foregoing (collectively, the “Released Parties”), from and against any and all liability for loss, harm, damage, injury, cost or expense whatsoever arising from or in connection with participation in the Sweepstakes or the acceptance, possession and/or use/misuse of a prize (if awarded to him/her). 8. Publicity: Acceptance of a prize constitutes consent to Sponsor’s use of winner’s name, likeness, photograph, voice, opinions, statements, hometowns and/or states for advertising and promotional purposes in commerce and in any and all media, worldwide, (including but not limited to internet and social media) without limitation and without further notice, consent or compensation, except where prohibited. 10. Dispute Resolution/ Venue/ Governing Law: By participating, each entrant (or his/her parent or legal guardian, if a Minor) agrees that: (i) any and all disputes, claims and causes of action arising out of, or connected with, this Sweepstakes or the prizes shall be resolved individually, without resort to any form of class action, and exclusively by the appropriate federal, state or local court located in Cook County, Illinois; (ii) any and all claims, judgments and awards shall be limited to actual out-of-pocket costs incurred, including but not limited to costs associated with entering this Sweepstakes, but in no event attorneys’ fees; and (iii) to the extent allowed by applicable law, under no circumstances will entrant be permitted to obtain awards for, and entrant (or his/her parent or legal guardian, if a Minor) hereby waives all rights to claim, punitive, incidental and/or consequential damages and/or any other damages, other than out-of-pocket expenses, and any and all rights to have damages multiplied or otherwise increased. SOME JURISDICTIONS DO NOT ALLOW THE LIMITATIONS OR EXCLUSION OF LIABILITY FOR INCIDENTAL OR CONSEQUENTIAL DAMAGES, SO PORTIONS OF THE ABOVE MAY NOT APPLY TO YOU. All issues and questions concerning the construction, validity, interpretation and enforceability of these Official Rules, entrants’ rights and obligations, or the rights and obligations of the Sponsor in connection with the Sweepstakes, shall be governed by, and construed in accordance with, the laws of the State of Illinois, without giving effect to any choice of law or conflict of law rules (whether of Illinois or any other jurisdiction), that would cause the application of the laws of any jurisdiction other than Illinois. In the event there is a discrepancy or inconsistency between disclosures or other statements contained in any Sweepstakes-related materials and the terms and conditions of these Official Rules, these Official Rules shall prevail, govern and control. 11. Severability: The invalidity or unenforceability of any provision of these Official Rules shall not affect the validity or enforceability of any other provision. In the event that any provision is determined to be invalid or otherwise unenforceable or illegal, these Official Rules shall otherwise remain in effect and shall be construed in accordance with their terms as if the invalid or illegal provision were not contained herein. 12. Winners List: For the names of the winners, mail a standard-size postcard, only, with your return address to: U.S. Cellular “12 Days of Giveaways” Sweepstakes Winners List, PO Box 38, Marblehead, MA 01945. Requests must be received by March 16, 2016. Names of winners will be available only after winners have been verified and prizes officially awarded. Do not send entries or other correspondence to this address.